Traditional classroom systems, especially during the early years, may seem daunting and uninteresting to some students. However, it's always a good thing when teachers get creative in their lessons especially when they incorporate stuff that young people love into the classroom. This is precisely what a primary school teacher from the UK has proven after taking the Nintendo Labo into his classroom as a fun way to teach math, science, and design. 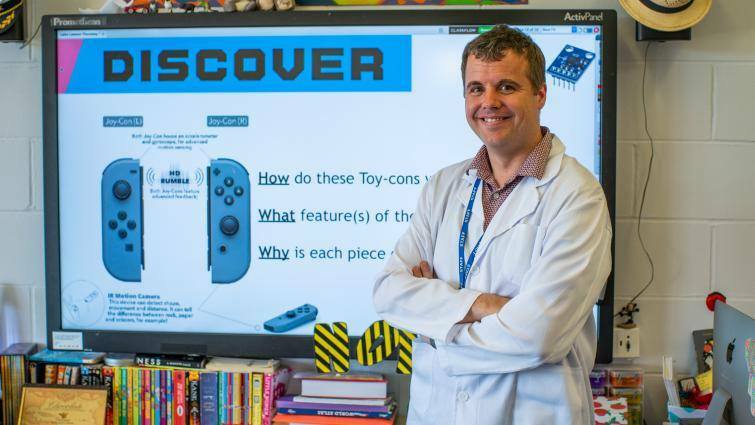 Chris McGivern, a Year 6 teacher at Southgate Primary School in Crawley, designed a lesson that incorporates Nintendo’s cardboard invention to spice up the curriculum innovatively and engagingly. McGivern’s students were tasked to build a Toy-Con RC Car straight from the box, where the kids had to figure out a way to customize and figure out the correct vibration frequencies to move the RC car, which tests their design, creativity, and scientific skills. This example as demonstrated by McGivern is a testament to what the Nintendo Labo can do beyond fun and games. During its pre-launch, Nintendo of America’s president Reggie Fils-Aimé talked about how the company aims to reach a broader set of audience with the Labo, and the product’s potential as an educational tool might be an opportunity that Nintendo can pursue in the future.